Stem Cell Therapy for Pets: Is There A Risk? In human medicine, stem cell therapy is the hot new thing. Stem cell therapies are also available for pets offering cures for a wide range of conditions. But is it all it’s cracked up to be? Basically, there are two schools of thought. One view is that no, right now, unfortunately, the field is just not there – meaning there is not clinical evidence that these therapies work in the real world. Others, however, do not share this view, and are in fact offering to cure a wide range of pets’ diseases with stem cell treatments. 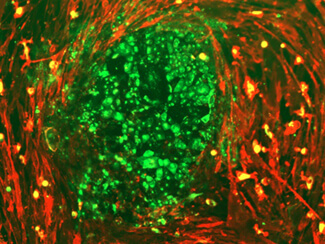 Figure 2: Green wisps of connective tissue cells (mesoderm); within the same culture as shown in Figure 1 (above) and Figure 3 (below). Figure 3: Intestinal Cells (endoderm) in the same culture as Figures 1 and 2 (above). Demonstrating that all three germ layers can be created with this culture of stem cells. No. Most of the most current stem cell treatments utilize adult stem cells, normally harvested from the pet’s fat stores, and these stem cells are introduced into the damaged part of the body. The stem cells then self-renew within the damaged part, promoting growth of new tissues and subsequently replace the diseased tissues. This type of stem cell is called autologous. Since the stem cells have been harvested from the body of the pet, theoretically, the odds of rejection or occurrence of side effects are very minimal. Because this is the case, stem cell treatments essentially provide a less invasive, more viable, and more sustainable therapeutic or treatment approach than traditional medicines and drugs. Yes. It is crucial to keep in mind that most stem cell treatments – apart from bone marrow transplantation – are still in the research stages, and have not undergone clinical trials. Studies in animals are being done, but with an eye on proving that a treatment works in humans, not necessarily for the benefit of animals themselves. Many of the research studies have been done outside the US for years because embryonic stem cell research was banned or severely restricted here in the US since 2006 by presidential decree. With the discovery of adult stem cells readily obtained from the pet’s own fat tissue, however, clinical trials are starting in the major veterinary institutions and actual clinical use of stem cells has become more available. Yes. Along with the fact that much research is in the preliminary phases and with the lack of published results, stem cell treatments have many risks. The most common risk is that the treatment will not work because all the factors for success may not be known. For instance, in the case of cancer, there is the danger of aggravating this disease. The introduction of stem cells into a pet with cancer may contribute to the uncontrolled growth of cells which is the primary mechanism for cancer. There has never been a case that this has occurred with adult stem cells, but there are still relatively few cases treated, and this is a theoretical possibility. stem cells are only used for research, are clinically dangerous, and cannot be controlled to prevent cancer. stem cells are the safest form of stem cells and are those harvested from a pet and used in that same pet. stem cells come from another pet of the same species and are commonly used in stem cell research. These cells are not yet allowed by the US FDA for treating clinical patients but are most likely safe. In countries without the supervision and regulation like that of our FDA, the use of heterologous stem cells harvested from different species such as sheep and sharks have been used for treating human patients. Similar stories abound on the Internet with regard to stem cell therapies in pets. These are the kind of far reaching applications that can scare the average pet owner off stem cells as an option for treatment. No. While stem cell treatment is available in some veterinary clinics, there are concerns about the effectiveness of their therapy. Stem cells are fragile, die easily and are prone to bacterial infection. One provider of stem cell service for veterinarians requires shipping of the stem cells via a major overnight delivery service, which greatly increases stem cell death. Another clinical option requires that the veterinarian process the stem cells from the fat collected from the pet using a centrifuge and water bath in the clinic. However, to help ensure success, a sterile biologic cabinet is needed to prevent infection while the stem cells are being processed, which, in many cases, may not be available. On top of this, there is no way of knowing how many live stem cells are then injected into the pet – another critical success factor. Furthermore, few veterinarians have received training in stem cell processing techniques. 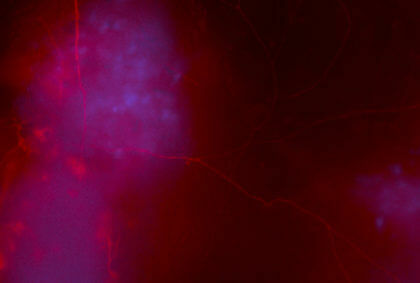 Turning Research into Reality” is the mission of Safari Stem Cell Therapy. Here at Safari Veterinary Care Centers, we are implementing a Translational Medicine approach to stem cell therapy. This method takes validated research in stem cell therapy and applies the techniques to clinical cases. Much of this research is done on dogs but the results are focused on the needs of humans. We are translating these results to help our canine companions. In this effort, Safari has developed an advanced stem cell laboratory for processing stem cells, evaluating stem cell viability, expanding stem cell cultures, and the cryopreservation of stem cell lines. Safari also has staff certified in human and veterinary stem cell therapy techniques, as well as surgeons skilled in surgery of the nervous system and spine, equipped with specialized radiology (C-Arm fluoroscopy) for injecting stem cells into the intervertebral disc, spine, joint or other area of need. Safari also has specialists in rehabilitation armed with extensive rehabilitation tools for bringing the stem cell treatment the full circle of success. What questions are important to ask my vet when considering Stem Cell Therapy? Autologous cells (those taken from the pet itself) are preferable. 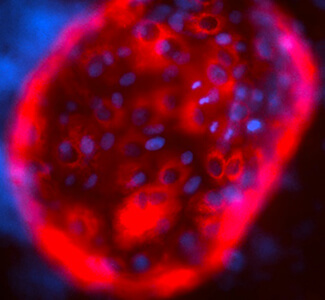 Adipose derived, adult cells are safer than embryonic and quicker than bone marrow derived cells. They come from your pet’s cells, not cells from someone else or something else, making them more trustworthy and compatible, and therefore a safer option. 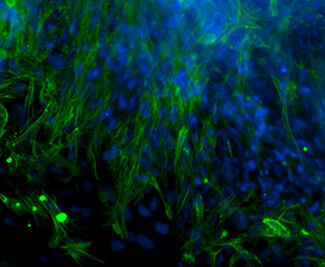 Cells prepared on-site are more viable. Sterile biological safety protocols, methods, and equipment are important. Directly into area of injury or disease with advanced imaging for needle guidance. Intravenous administration is rarely effective when given alone. Neurological and musculoskeletal conditions require rehabilitation. Multiple modalities such as physical therapy, electro-stimulation, therapeutic laser, therapeutic ultrasound, water treadmills, specialized certifications.